An Elder Law lawyer in Jacksonville or Ponte Vedra Beach is important to involved in planning for Medicaid, Long term care, or with a guardianship. Our Jacksonville elder law lawyers help clients and their families plan by using tools for estate planning, asset protection, and elder law. It is best to start discussing elder law with your Jacksonville lawyer by the time you reach 60. The primary difference between Elder law attorneys in Jacksonville and a Jacksonville Estate Planning Attorney is that elder law lawyers deal with the unique issues that face elderly clients including nursing home, long term care, and asset protection. 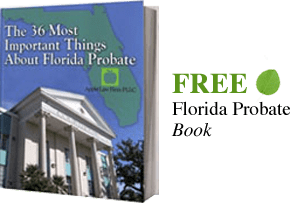 Many of the procedures are similar, but what is acceptable in Jacksonville estate planning can be devastating for elder law purposes. We find that many people who do estate planning are attempting to save a money on probate and the techniques used can expose the assets to claims from the state for nursing home or other long term care. Elder Law can be thought of as Estate Planning with an emphasis on making sure the individual or their spouse are not disqualified for benefits they may need as they continue to age or the level of care needed increases. Elder law attorneys often create documents which help with planning for long term care, insurance, protecting assets, and making sure Medicaid and veteran's benefits are available. In some circumstances it is necessary to establish a Florida Guardianship to care for parents or spouses who have become incapable of managing their daily personal, health, or financial matters. What is a Jacksonville Elder Law Attorney? As a senior citizen, special needs person, or a family member of one, there are unique challenges that must be addressed with aging and incapacity. Whether it is protecting your life savings for yourself or a surviving spouse, knowing your assets will be distributed properly when you pass away, or obtaining government benefits a Jacksonville elder law lawyer can help determine which options make sense for you. Elder Law Lawyers can discuss your objectives and help you and your family determine which options make the most sense for your situation and goals while reducing the risks associated with traditional estate planning for you, your spouse and your family. Ponte Vedra Beach Elder law attorneys understand the laws affecting seniors and special needs individuals. These laws are constantly changing, so your Jacksonville Elder Law Attorney must not only keep up with these changes, but also be aware of the trends in political policy. We are a member of the Academy of Florida Elder Law Attorneys (AFELA), and attend educational workshops and conferences throughout the year. We are also a member of the National Academy of Elder Law Attorneys (NAELA). Both organizations hold numerous conferences and Continuing Legal Education Seminars where Florida Elder Law Attorneys meet and share information to remain current on issues most important to our clients. How can an Elder Law Attorney in Jacksonville Help You? You may be overwhelmed and frustrated about your particular circumstances. For example, if your spouse is ill and needs nursing home care, perhaps you are worried about whether you qualify for Medicaid to pay for that care, or whether all of your hard-earned savings will be drained if you don’t qualify. Maybe you have heard horror stories about elder couples being forced to get divorced to keep one spouse from having to drain their life savings to pay for nursing home care for the other. Perhaps you have not created your Living Will or thought about establishing a Trust to make sure your assets are distributed properly. Or maybe you have a simple question about creating a Power of Attorney. Our first job is to listen to you! Next our Jacksonville elder law lawyers determine what is important to you and what your goals are. Because of our education and training, we know how to offer you step-by-step solutions designed for your particular circumstances. As attorneys we have a legal and ethical responsibility to lay out all of your options, then come to an agreement with you on what is best for you and your family. 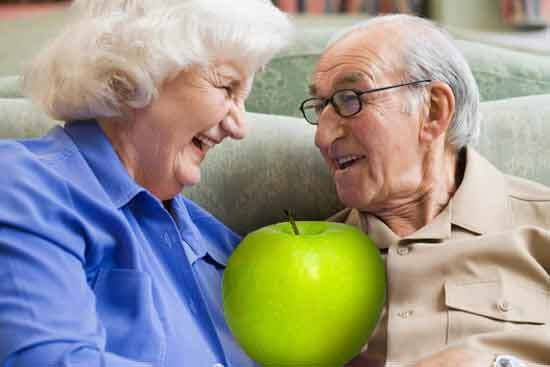 As mentioned previously, we will associate with our network of experts in the field of elder care, such as nursing home care, elder exploitation, tax situations, and family law matters. Not only will we help educate you on your options, we will help you implement that plan. When Should I Contact an Elder Law Lawyer in Jacksonville? to find an Elder Law Attorney in your area who provides that service. We can also help if you have questions about preparing instructions for the handling of my financial transactions and/or healthcare, especially if I become incapacitated. A Durable Power of Attorney (DPOA) is one of the most important legal documents a person (known as the “Principal”) may create. Sometimes a DPOA is referred to as a “guardianship avoidance measure” because the DPOA is “durable”, or “endures in existence” even after the Principal becomes unable to handle his/her affairs. A Principal cannot create a DPOA unless he/she has a level of understanding of the broad and general powers within the document that are being granted to another individual or individuals selected by the Principal. The individual, or multiple individuals (known as the “Attorney-in-Fact” or “Agent”) may exercise any or all of these powers or authorities, during the lifetime of the Principal only, to assist the Principal in conducting his/her financial transactions and personal day to day affairs. The Agent has certain responsibilities as a “fiduciary”, and the Agent should not ever act against the best interests of the Principal, even if the Principal becomes incapacitated. What is the role of my Elder Law Attorney in creating a Durable Power of Attorney? Because elder law attorneys concerned first about protecting your rights while you are alive, elder law attorneys have specific experience in drafting as well as enforcing DPOAs. An elder law attorney will also fully understand and counsel you adequately on the significant changes to Florida DPOA law which recently occurred. Any failure to understand these changes and have a DPOA drafted appropriately means you may have a defective legal document. For example, there is only one type of DPOA that can be created under Florida law: the type known as “executory” meaning that the powers and authorities are granted to the Agent immediately upon the Principal’s signing of the DPOA. A defective DPOA may not accomplish the objective of avoiding guardianship. You do not want to use a form off of the internet either. It may not meet Florida’s new law. You certainly don't want a situation where the legitimacy of your DPOA form is questioned after it is too late to make changes. Your Elder Law Attorney can also be by your side if court proceedings are necessary to enforce your DPOA. If you are unable to make your own medical decisions, a person can be selected by you to serve as your health care surrogate. You designate your health care surrogate in a Designation of Health Care Surrogate form. If you did not designate a health care surrogate, and you can no longer make medical decisions for yourself, a medical proxy decision maker will be assigned that task of your physician. That person is selected in order of priority, giving your Guardian, then your spouse, first priority and other family members as per Florida’s laws. Remember, your Durable Power of Attorney document directs financial decisions, and your Designation of Health Care Surrogate directs medical decisions. What is the Role of My Elder Law Attorney in Helping Designate my Health Care Surrogate? Along with your Living Will, the Designation of Health Care Surrogate is an advance directive that can have huge implications on who will make medical decisions for you if you cannot, and how the end of your life occurs. Everyone has their own ideas about how they wish for their health care to be managed, and how they wish to die. A qualified Elder Law Attorney can help you to be sure these documents are consistent with your wishes. Is a Living Will an Important Part of my Elder Law Plan? A Living will is a written document that expresses your desire regarding the withholding or withdrawal of life prolonging procedures in the event you have a terminal condition, an end stage condition, or is in a persistent vegetative state. It must be signed by you in the presence of 2 witnesses, one of who is neither your spouse or blood relative. Last Will and Testament: This document specifies how you want your assets distributed upon your passing and allows you to nominate a Personal Representative who would be responsible for enforcing the terms of the Will through a court supervised estate administration. The difference between a Living Will and Last Will and Testament is that a Living Will states your intent regarding the delivery of life prolonging procedures if you have a terminal condition, end stage condition or in a persistent vegetative state. In contrast, a Will states your intent with respect to distribution of assets after you pass. What is the Role of my Elder Law Attorney With a Living Will? A Living Will is one important part of your overall estate plan and a qualified Elder Law attorney can ensure that such documents are properly explained, prepared and executed to ensure your intentions and wishes are clearly defined and followed. A will is a written direction controlling the disposition of property at death. The laws of each state set the formal requirements for a legal will. You, the maker of the will (called the testator), must be at least 18 years old. You must be of sound mind at the time you sign your will. Your will must be written. Your will must be witnessed and notarized in the special manner provided by law for wills. It is necessary to follow exactly the formalities required for the execution of a will. To be effective, your will must be proved in and allowed by the probate court. No will becomes final until the death of the testator, and it may be changed or added to by the testator by drawing a new will or by a “codicil,” which is simply an addition or amendment executed with the same formalities of a will. A will’s terms cannot be changed by writing something in or crossing something out after the will is executed. In fact, writing on the will after its execution may invalidate part of the will or all of it. Who should prepare a will? No sensible person would employ “just anyone” to fill teeth, take out an appendix, or deliver a baby. The person who wants these services performed skillfully with the minimum risk to health, life, property, or the accurate execution of his or her wishes, will engage the services of a trained person. Except in dire emergency, these important tasks should not be performed by anyone except the professional. The drafting of a will involves making decisions that require professional judgment which can be obtained only by years of training, experience, and study. Only the practicing elder law attorney can avoid the innumerable pitfalls and advise the course best suited for each individual situation. In addition, an experienced elder law attorney will be able to coordinate the use of other skilled professionals, such as an investment advisor, actuary, insurance specialist, and tax accountant to complete a proper estate plan. Moreover, there is no such thing as a “simple will.” Even smaller estates can have complexities only foreseeable by the experienced elder law attorney. Is Avoiding Probate an Important Part of Elder Law? Avoid probate can eliminate the ability for Medicaid recovery claims to be filed against the estate. Too often, estate planning attorney only focus on avoiding probate and not protecting assets. While avoiding probate is important in a plan, be careful that you don't subject assets to claims only to avoid small probate claims. What is the role of my Elder Law Attorney during the probate process? Probate can be expensive and time-consuming. Your Elder Law attorney can guide you or those you leave behind through the process as quickly and efficiently as possible, protecting your plan for your estate and for your loved ones. Established by you (the grantor) giving a trustee the right to take care of your property for someone’s benefit (the beneficiary). Your trust is established while you are living, and determines how your property should be managed while you are living and how it is to be distributed when you die. This allows you to avoid the expense of the lengthy probate process and helps manage your finances. Provides benefits and protects assets for you if you are disabled or chronically ill, while allowing you to qualify for long-term care benefits such as Medicaid, Medicare or Social Security. The assets in the Trust are not counted against you when you qualify for public assistance. Revocable means you can make changes in how your Trust is managed, whereas an Irrevocable Trust can only be modified under specific terms written into your Trust’s instructions. The Irrevocable Trust relieves the grantor of the income and therefore the tax liabilities of the Trust’s assets. What is the Role of my Elder Law Attorney in Establishing Trusts? Whether a Trust is right for you and the best type of Trust depends, of course, on your circumstances. An Elder Law Attorney will help you determine the best Trust for you, and create it, while ensuring that it is properly managed and meets your intended goals. If you are a Guardian, you are legally responsible for the care and property of a minor or a person who is incompetent (the Ward). A Guardianship is created when a person or institution is named in a will or assigned by the court. To become a Guardian of a child, either the party intending to be the Guardian, another family member, a close friend or a local official will petition the court. The Guardianship of a minor remains under court supervision until the child reaches age eighteen. What are my Responsibilities if I am a Guardian? I am responsible for the welfare of the child or incompetent adult. I cannot benefit at the expense of the ward. I must periodically report back to the court on the financial affairs and caring of the ward. How do I Know if a Minor Needs a Guardian? if a child receives an inheritance or proceeds of a lawsuit or insurance policy exceeding the amount parents are allowed by statute to receive on behalf of their child. How do I Know if an Adult Needs a Guardian? when the court finds that an individual’s ability to make decisions is impaired. when less restrictive alternatives, such as a durable power of attorney, a trust, a health care surrogate or another form of pre-need directive, are not available. What is the Role of my Elder Law Attorney in Guardianship? Only when the ward’s legal rights are protected can their quality of life be maintained and even improved. Since Guardianship is a legal relationship with court-mandated duties and involve the rights of another human being, an Elder Law Attorney is specially trained to ensure that all appropriate legal, procedural and financial matters are followed. The federal program that reimburses doctors and hospitals for certain health care expenses if you are at least age 65. What Will my Medicare Pay for? Part A pays for your hospitalization, inpatient care in rehab centers and nursing homes, hospice, and even some home health care. Part B pays for your doctor visits, medically necessary procedures, ambulance services, mammograms and pap smears, screenings for cardiovascular problems, colorectal and prostate cancer, diabetes, glaucoma and HIV, shots such as flu and Hepatitis B. Also covered are limited chiropractic services and mental health care, walkers and wheelchairs, pelvic exams, physicals, and smoking cessation programs. Part C, also called Medicare Advantage, gives you an opportunity to select health care plans. Medicare Advantage providers can add a more benefits to your plan. What Does my Medicare not Cover? Long term care, except for the first one hundred days after hospitalization. Medicare also does not cover alternative health therapies, dental care, cosmetic, elective surgery, foot care or eye care, or routine checkups, although your Medicare Advantage plan may provide coverage for some of these items. When am I Eligible for Medicare? What is the Role of my Elder Law Attorney in Assisting Me With Medicare? A qualified Elder Law Attorney in Jacksonville can help you understand the Medicare benefits you are entitled to as well as assist you with your appeal if your Medicare is denied. A federal and state medical assistance program that gives you access to health care if you are among the low-income families or individuals, the elderly or disabled, with the costs of nursing homes and other medical expenses. With Florida’s new Medicaid Reform, Medicaid recipients are being shifted into managed care plans. Also, there is currently debate among state lawmakers on whether and how to expand Medicaid coverage initiated by the federal government’s Affordable Care Act. In Florida the Agency for Health Care Administration (AHCA) oversees Medicaid and The Department of Children and Families is responsible for enrolling people. AHCA contracts with other state agencies and private organizations to provide your Medicaid services. What Specifically Would my Florida Medicaid Plan Cover? Doctor office visits, inpatient and outpatient hospital care, hospice (for age 65 and older), diagnostic screenings and lab work, prescription drugs, ambulance transfers, emergency room care, family planning, chiropractic care, mental health care, and limited dental services to diagnose an existing condition. Children can be covered for comprehensive dental benefits, vision screening and immunizations. If you are a pregnant woman, you can be covered for pre and postnatal dental work and some maternity benefits. When am I Eligible for Medicaid? There are a number of factors that determine your eligibility, such as income and assets, age and your medical needs. The income and assets have certain legal intricacies, meaning it is vital to have the right kind of assistance when applying. For example, there are guidelines that determine whether that money you donated to your grandchild’s education will be counted as an actual transfer of assets, or a way to improperly spend down just to qualify. What is the Role of my Elder Law Attorney in the Medicaid Process? A nursing home can cost thousands of dollars per month, which can quickly drain your assets. An Elder Law Attorney is an expert in all of the legal means necessary to help you qualify for a nursing home through Medicaid assistance, so that you and your family can avoid impoverishment. This involves various legal means to make sure your assets are reasonably protected. As you and your attorney review this process, the attorney will help you understand the many options you have when utilizing Medicaid as part of your long term care planning. Be aware that there are many unlicensed, untrained non-attorney Medicaid planners out there who make commissions selling you unnecessary planning tools. This can result in your loss of Medicaid eligibility and much money, while causing you and your family tremendous stress. The Jacksonville, Florida Elder Law Attorneys and lawyers at the Law Firm can help you and your family with your Medicaid benefit needs and other aspects of Florida Elder law. Please Email a Jacksonville Elder Law Lawyer or call us at (904) 685-1200 to discuss your situation with a Ponte Vedra Elder Law Attorney. The Law Firm is located in Jacksonville and Ponte Vedra Beach and provides individuals and families located in Duval, St. Johns, and the rest of Florida with Elder Law & Planning advise. We often work with individuals who are moving to Florida or have assets in Florida with Estate Planning Documents that complement or increase the efficiency of their Estate Planning needs. Consultation Fee: As an elder law consultation is a comprehensive review of one's financial situation and opportunities to preserve assets from loss due to nursing home, we do charge a consultation fee. If you are simply looking for estate planning options, estate planning consultations are no charge, but do not include the elder law components of the consultation.